Ava Desautels Barr was visiting her grandparents in 2012 when she was just six years old. 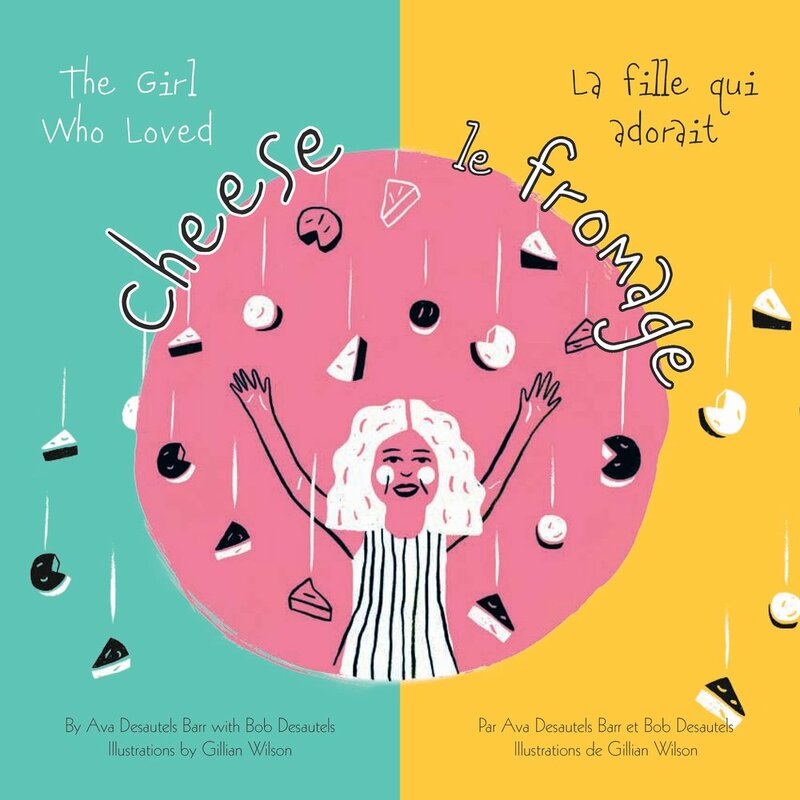 They were having dinner in the back yard when Bob Desautels, her grandfather, said that she ate so much cheese that maybe one day she would actually turn into cheese. Ava spontaneously came up with the story of turning into cheese and rolling around in the park, and then eating herself when she goes to school. Then she came up with the part about her disappearing when the teacher took attendance (except for her eyeballs). Bob Desautels turned the story into a dream and then approached local Guelph, Ontario, artist Gillian Wilson to do the illustrations. This book, written in English and French, is a collaboration between all three people.